No issues with power so far. 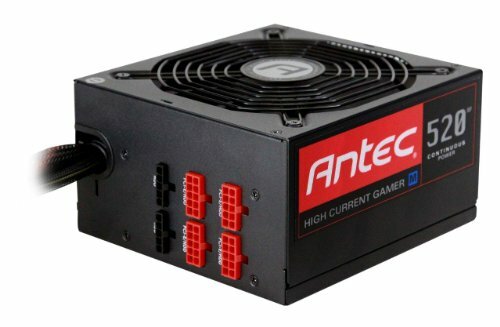 It's an Antec. It works beautifully like it should and I have more than enough power for anything I could ever fit in this case. This semi modular power supply provides ample power for this build, and was on sale. An absolute steal for the price I got it at. 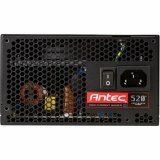 I shopped at a local retailer, and this was the cheapest semi modular Power supply they had in stock, and although I haven't heard much about Antec, what I have has been positive. Decided to buy this on a whim and no regrets. The stealth cable thing was a nice effort, and actually worked on my EPS cable, but just looks a bit shoddy in the end with half yellow and half black cables. I'll be buying some custom sleeved extensions soon. A for effort though, kudos to Antec for attempting to fix the ugly rainbow cable issue. Edit: the yellow cables reflect the hue+ and look rainbow but you can tell in single color modes. Well, how can I review a power supply anyways? It's working, it hasn't blew up, and it's quiet. 10/10 would recommend.